European cars always produce the simple yet clean look that any automotive enthusiast can appreciate. Pair up the Volkswagen Jetta MKVI with a set of flashy wheels and minor cosmetic upgrades and you have yourself a sleek euro machine. Irving did just that- when he picked up his 2012 Jetta SE 5 years ago, he immediately started building his vision. As a master barber, Irv has the eye and talent to create fresh sharp fades for his clients. He also uses this same eye for the way he builds his cars. 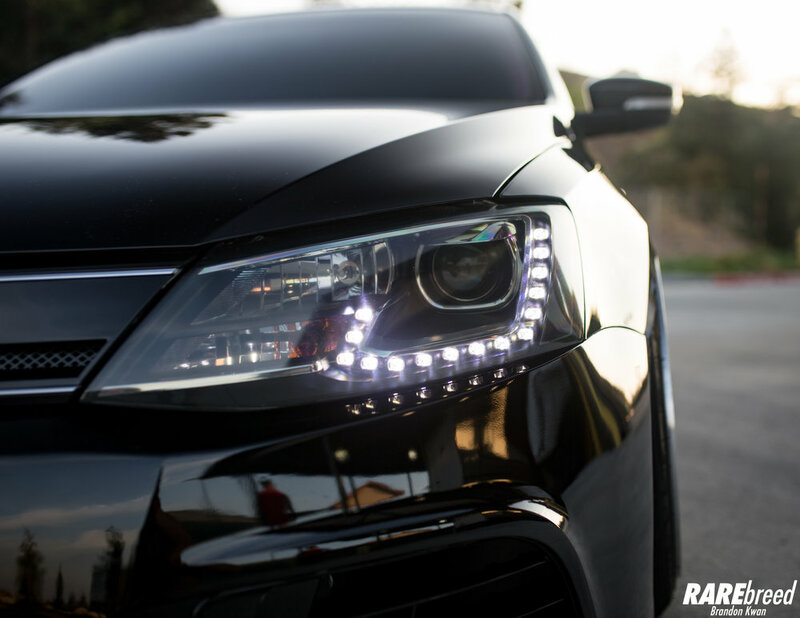 Volkswagen has a special way of looking clean and simple. 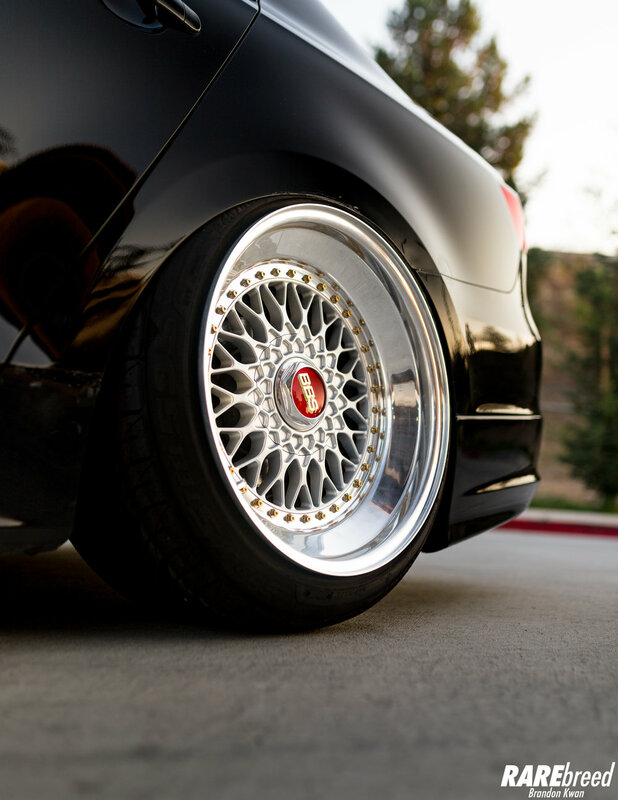 Irv had Memory Fab in Union City, CA custom build him a set of BBS RS in 18x10/11 to perfectly sit fender to lip. In addition to the simple yet elegant exterior, a full custom red suede headliner and pillars were done by DJ Design in San Francisco, CA. As usual, perfect fitment was achieved by the duo of Airlift Performance V2 Management and Airlift Struts. To add a bit of style, a custom hardline set up was built by Becausebags in San Jose, CA. The classy wood flooring was hand built by Irv himself- impressive. For those who are familiar with the MKVI, this is a front bumper does not come factory on the Jetta. 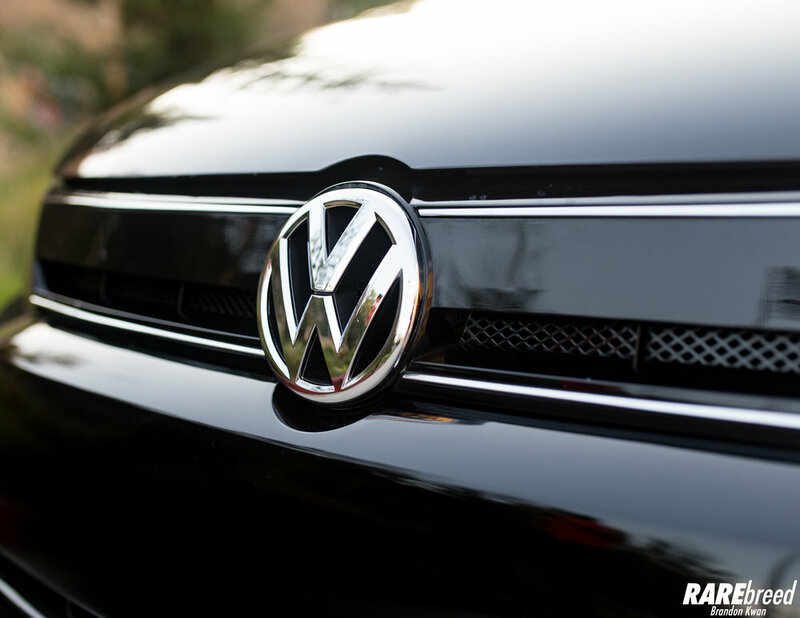 That's because this bumper is from a Golf R. We can all agree that this front end sets off the entire simply clean look. The rear end has been fitted with a Voltex rear lip, shaved emblems and LED tail lights. Follow Irv and his MKVI on Instagram!